Nowadays, Any Haitian with a cheap smartphone can post anything he wants on the internet and send Haitian government and State officials and a panic attack. It's a fact... The Haitian government and State officials are getting whooped by technology and they are too stupid to fight back. What's worse, Haitian State officials, most of them have no idea how to maneuver this technology to protect themselves. They think they can protect themselves with armored vehicles and their security guards. Then, out of nowhere comes a negative post on the Internet that goes viral and Mr. or Mrs politician gets pulled out of his/her comfort zone and into the political mud. 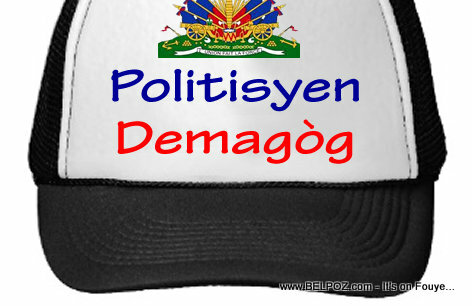 In Haiti, that political mud stinks big time! It's sad to see this happening. 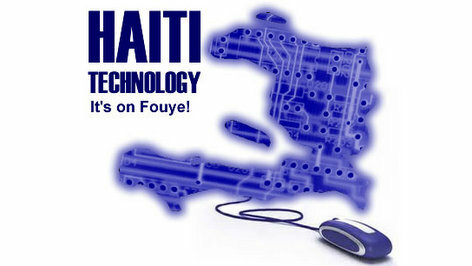 It's sadder to notice Haitian politicians still have not grasp the power of information technology. Everyone who is opposed to this government knows how to beat it with words on the internet and government officials are sitting on their butts and they have no clue how to fight back. They send their "French troops" to talk on Haitian radio and they think they have it covered. Back in the October 2013, I wrote this article. Some people from Martelly's team took my advice and it worked in Martelly's advantage. You can't fight these people by issuing official statements. You are only making a fool of yourself when you do that and they are winning when they make you act the fool. They are winning when you don't fight back with the same technology they are using to beat you. Adolf Hitler used "words" to get his way... The Jews didn't know what was coming until it was too late. That is why the country cannot move forward to improve the country any knowledge of improving the government. If you can't do research on the computer to find out what other countries are doing. De nos jours, tout Haïtien possédant un smartphone bon marché peut publier tout ce qu'il veut sur Internet et envoyer une attaque de panique au gouvernement haïtien et à des responsables de l'Etat. Le gouvernement haïtien et les représentants de l'État sont dépassés par la technologie et ils sont trop stupides pour se défendre.